As Christmas came, and carol singers all over the Christian world were intoning the well-loved “O Little Town of Bethlehem“, al-Jazeera English published a piece I’d written when I visited Bethlehem earlier in the year. 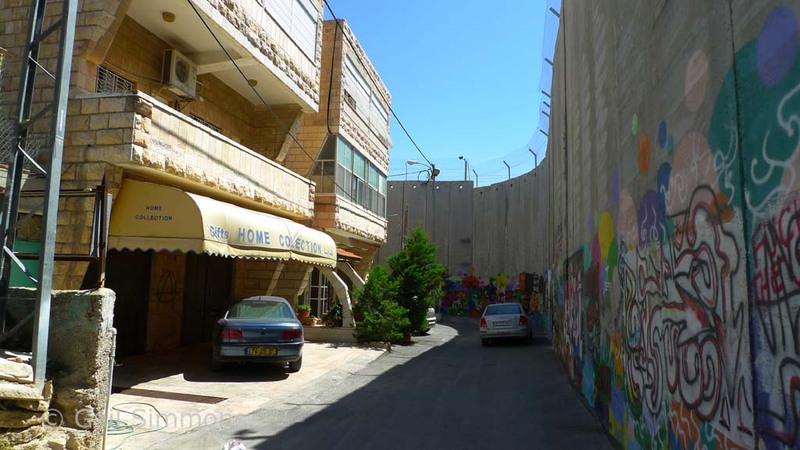 Sadly, the silence, peace and magic of the city as celebrated in the carol is long gone as the town is now sliced in two by the brutally ugly concrete wall that Israel started building in 2002. This wall has cut off ordinary Palestinian Christians, many of whom make their livings from tourism to the wonderful Church of the Hold Sepulchre, from their means to make a living and is slowly choking the life out of the city. In the piece I wrote about the plight of one lady, gift shop owner Claire Anastas, and others affected by the separation wall. The story ends with some rays of hope, as you’ll see.